I have been toying with getting certain information from the models to the drawing and set it up neatly in a table. 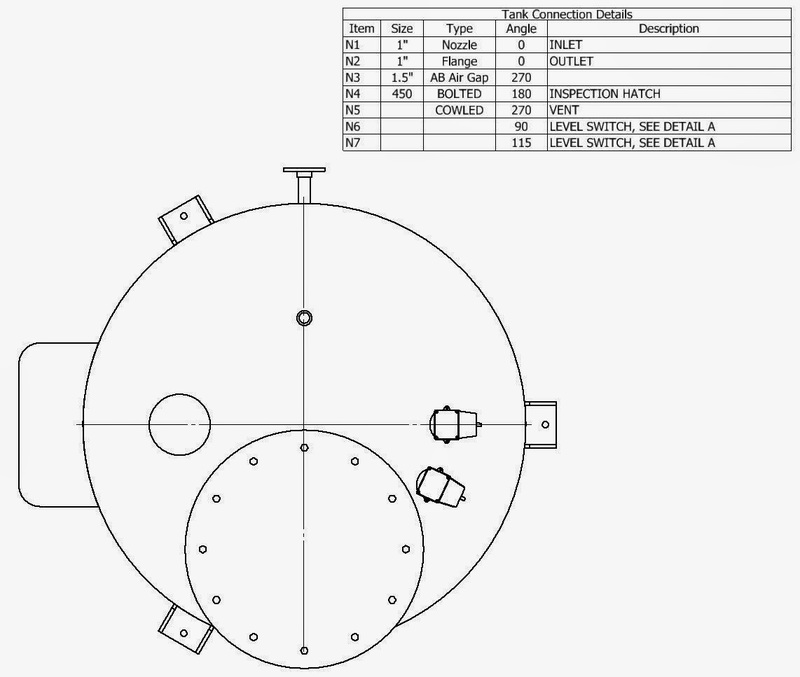 Unfortunately getting it in a General table is not possible but adding that info into a Parts List table is. At this point I need to mention that my table has no Parts in it (I use part list on single model not assembly) but rather a collection of parameters and, properties, found on the model. You can virtually add any info from the model to the drawing and show it on a neat table rather than using leader texts. - Whatever you can think off.. So first add a parts list (even if you have just a part on the model). 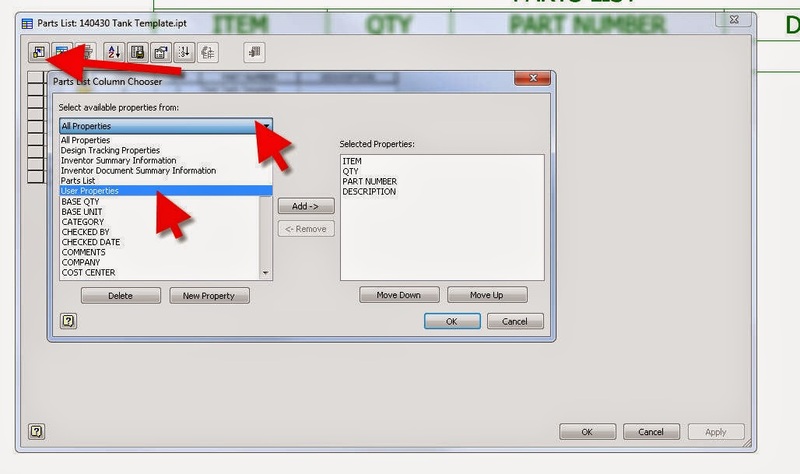 Edit the part list, click Column Chooser, User Properties. Add New Property and type all the properties you want to have in the table. 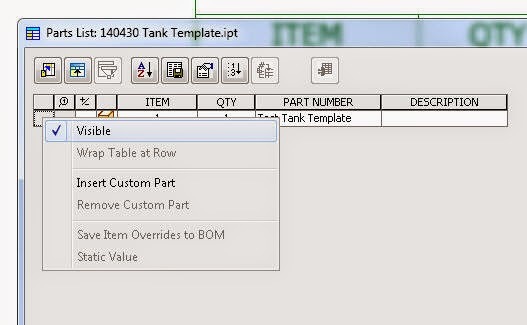 Take off visibility of the part in the table. If you right click on the model row you have the option to “Insert Custom Part” or “Remove Custom Part” and that’s what we’ll use in our ilogic code to get our info to show up. Add a new rule in the Ilogic code browser. At this point it was easier to delete the current table and write the info again because the number of connections on the model can increase decrease an I didn't wanted to start playing with count, compare, delete, add. etc. 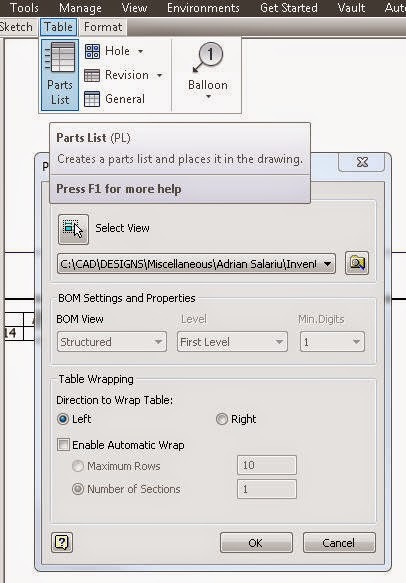 You can only add and remove Custom Parts from the table so the "count existing rows to process" needs to be -1 that can't be deleted. You need to keep track of the number of rows you are writing in separately because the model can have 30 connections total but only 5 unsequenced connections active. Connection 30 in the model will not appear as N30 on the drawing but rather the next available sequenced number so we will use the row count in the first cell as well. Instead of using Item(“Column name here”) you can use a number to indicate the column number like Item(1). This is where we add the connection number based on the current row number rather than getting it from the model (not sequential). Again, I am not a programmer myself, and I just gathered this of the internet and got it customised for my case. I hope I have at least guided you in the right direction, and not confused you more. Here is the code again without my comments all over.